Despite heavy deployment of security personel in Tana River many lives have been lost in clashes. In Kenya, ahead of the 2013 elections, attention is turning to sources of tension that could fuel the kind of poll-related violence seen at the end of 2007 and in the first few weeks of 2008. In recent weeks, unrest in Coast province, centred on the separatist Mombassa Republican Council (MRC), has garnered most attention – most lately the beating and arrest of MRC leader Omar Hamisi Mwamnwadzi on October 15, along with some of his supporters. Also, the donor community and Kenya’s political elite are highly pre-occupied with the fate of four Kenyans facing charges related to 2008 election violence at the International Criminal Court (ICC), including two presidential hopefuls (Deputy Prime Minister Uhuru Kenyatta and former Higher Education Minister William Ruto). However, these spectacles have overshadowed what may be an episode with even more significant implications: the death in late August and early September of some 116 in clashes in the Tana Delta between ethnic Orma and Pokomo militia. Although part of Coast Province, the rural and impoverished Tana Delta is not really a central part of Coastal politics. Nonetheless, the drivers of the violence a few weeks ago are related to factors not unique to the Tana Delta. In fact, the Tana Delta violence highlights precisely the type of political and social fault lines that may be at risk of erupting in the run up to, and aftermath of, the elections in a number of areas. Long-standing competition and conflict over access to pasture and water resources were important factors, but did not alone provide the trigger for violence. A range of political and economic factors have fed into the local dynamics in Tana Delta. These include longer-term trends related to alienation of local people from land due to large-scale government and private sector purchases, and shorter-term impacts related to the process of delineating electoral constituency boundaries and county districts in line with Kenya’s new constitution. The ready availability of small arms has also seen such conflicts intensify in recent decades. Lack of livelihood opportunities for the youth is also a major factor. As such, the recent clashes are emblematic of wider trends. Although the Tana Delta (along with the rest of Coast Province) has tended to be politically marginalised, tensions in other areas – such as Mt Elgon and parts of the Rift Valley including Eldoret, Nakaru and Naivasha, and counties in northern Kenya – could also be exacerbated by the same political factors. Some of these areas were flash-points in the post-poll violence of late 2007 and early 2008, with major national and regional ramifications. The violence in Tana also led to the forced migration of an estimated 12,000 people. An assistant minister, Dhadho Godhana, was arrested and lost his cabinet portfolio; local area MPs traded accusations with the powerful Defence Minister, Yusuf Haji, over who was to blame. Media reporting and advocacy by civil society and human rights organisations finally prompted the government into action when the issue was debated in parliament on September 12. The government began deployment of some 2,000 members of the paramilitary General Services Unit (GSU) the following day. It also set up a commission of inquiry into the matter. Despite the deployment of security personnel, violence continued and lives (including nine GSU personnel) and livelihoods were lost. 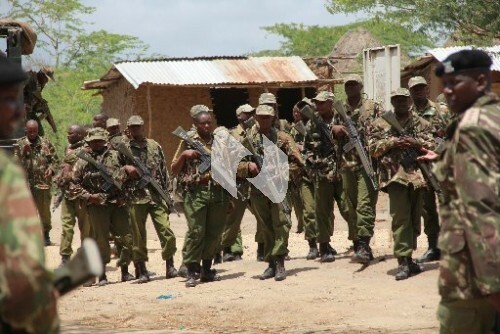 Government forces have also been accused of serious human rights violations of by local residents, who claim excessive force is being used in a bid to disarm them. Understanding the drivers of violence in the Tana Delta helps to illustrate its relevance to other parts of Kenya (see also Parselelo Kantai, “˜Tana Delta Burning’, in The Africa Report, No 45, November 2012, pp 37-39). Going back to the 1970s, government schemes and private enterprises (including by foreign companies) have dispossessed the inhabitants of Tana from land in their area. Large-scale government and foreign farming schemes have taken up tens of thousands of hectares previously used for pasture and subsistence farming, and providing a major contributing factor to conflict between farmers and pastoralists over access. For example, the Bura Irrigation Scheme was set up in 1978, and allocated 25,000 hectares. In addition to this, the Tana River Development Authority has planted sugar, rice and maize on another 80,000 hectares. The government has also planned to allocate land in the Tana to foreign investors, for example to grow Jatropha for biofuel feedstock (involving a Canadian firm, Bedford Biofuels). In late 2008, talks between Kenya and Qatar about a 40,000 hectares land lease in the Tana Delta triggered a public backlash and were subsequently shelved. A key aspect of the conflict is about land ownership, as opposed to use, with the Orma and Pokomo fighting over land rights. Recent boundary changes effected by the Independent Electoral Boundaries Commission (IEBC) resulted in some villages, sub-locations and locations being shifted to different electoral constituencies. Media reports quoted local residents who blamed politicians seeking office for the intensified fighting between the Pokomo and the Orma. Other reports also suggest that politicians eyeing gubernatorial, senate and parliamentary seats have been mobilising their supporters ahead of the coming voter registration. There is also talk of politicians forging alliances for the senate and gubernatorial seats ahead of the general election, raising fears in some communities of being disenfranchised. The constitution has re-instated the senate, and created a new tier of elected government at the county level – fostering intensified competition for the resources those offices represent. The delineation of electoral boundaries is hotly contested: the process is still not finished, only a few months before the polls. Local MP Godhana has accused Haji of being behind the violence, and suggested that he has encouraged the immigration of Somalis and al-Shabaab sympathisers. Other local MPs have also accused the minister of interfering with the Tana River boundaries so as to benefit the Somali inhabited parts that lie outside the Delta. There are also longer-standing rumours that the Orma have links to the Oromo Liberation Front (OLF), an ethnic-based insurgency mainly operating in southern Ethiopia, but also in and out of northern Kenya. The Orma and Oromo share common ancestry, and rumours that the OLF has supported the Orma have fuelled fears of the intensification of the conflict. Regardless of the truth of these rumours, the fact that they tap into wider fears about inter-communal competition and conflict is a worrying sign this close to an election. Inter-communal killings and forced displacement have recently affected not only Tana but also northern districts of Isiolo, Garissa, Mandera, Moyale and Wajir. The ease with which communities in these areas acquire fire-arms, organise themselves and plan attacks should concern security agents but also development planners. Widespread economic frustration, chronic impunity and intense competition between politicians for political-economic resources remain pervasive hallmarks of the Kenyan political economy, even after the promulgation of what is considered a progressive constitution in 2011. These dynamics are also at play well beyond northern Kenya. For example, Mount Elgon has long history of violence associated with the drawing and redrawing of boundaries. Eldoret and other towns in the Rift Valley – such as Nakuru and Naivasha – have long been cosmopolitan and multi-ethnic, but with more ethnically uniform surrounding rural areas. In early 2008, this led to violence against non-Kikuyus in Nakuru and Naivasha; and against Kikuyus in places like Turbo and Burnt Forest in the area surrounding Eldoret. Understanding that the same drivers – namely pre-electoral political competition, and manoeuvring to benefit from the re-drawing of electoral constituency boundaries – are at play across the country should concentrate the minds of Kenya’s leadership and partners. These factors could feed into the existing tensions in flashpoint areas affected by electoral violence in 2008 and in previous polls – a long-standing pattern going back at least to the re-introduction of multiparty politics in the early 1990s. In the near-term, attention to these factors should be raised. A focus on the MRC and Kenya’s intervention in Somalia risks overlooking a wider, and potentially more disruptive, pattern. In the medium to long term, Kenya’s partners could help to support efforts to address the longer-term, underlying grievances beneath the violence in areas such as the Tana Delta. The current commission of inquiry into the most recent violence could provide the first step in a sustained and rigorous effort. It will be essential that the commission be given the space to operate freely, and that its findings are taken seriously. The violence in the Tana Delta will also prove a key test for the judiciary, which is on the front lines in the battle against impunity in Kenya’s politics. As such, the commission for inquiry could have important resonances with the handling of the ICC cases. Beyond the question of impunity and accountability, there is also the matter of restitution for lives, livelihoods and properties lost. Nuur Mohamud Sheekh is a Board Member, Internal Displacement Policy and Advocacy Centre, Kenya. Jason Mosley is Research Associate, African Studies Centre, University of Oxford. The murder of over 100 people and mayhem in the Tana Delta is tragic. I commend the authors of the report in attempting to explain the ‘drivers of Tana’s violence. They have however done poorly. Several aspects of this article are inaccurate or outright lies. Do the authors truly believe decisions by the Government of Kenya about land allocation between 1978 and 2008 are the primary reasons for violence in 2012? Are the authors aware that the population density of Tana River county is 6.79 people per square kilometer? Are the authors aware that 2 (Galole and Bura)constituencies, of the three in Tana River county, were protected and their boundaries not altered by the IEBC? The same applied to the neighboring Lamu constituencies. The only boundaries that were altered were for Garsen, reducing its area by approx 3,600 sq km. The authors ought to read the High Court ruling on the Republic v Independent Electoral and Boundaries Commission & another Ex-Parte Councillor Elliot Lidubwi Kihusa & 5 others  303. Constitution Petition No. 29 of 2012 – Mombasa, to understand the concerns expressed with regard to boundaries for the upcoming elections. Are the authors aware that there was no rainfall between Jan and Oct 2012? Why did they not pursue this further as a possible reason for the violence beyond the one sentence mention? Do the authors truly believe there is a connection between the Ethiopian Oromo Liberation Front (OLF) and the Orma in Tana River? This article does not offer plausible reasons for the violence in the Tana River and it is wrong on the basis of such poor research to extrapolate these reasons as a pointer to violence in other areas in Kenya during the 2013 elections. Kenya is definitely struggling with insecurity and we need honest thoughtful research to the causes of insecurity to aid the development of solutions. This analysis of the Tana Delta Violence has come at a good time indeed! The authors of this seminal piece have explained the multi-faced causes of not only the causes of the conflict, but also the protracted nature of the challenges facing the Delta and other parts of the country especially in the run up to next years election! In acknowledgment of this article, legislators from EALA last week warned of poll related violence in the Delta and other parts of Kenya owing to issues revolving around land and new administrative boundaries that define the newly created constituencies and Counties. This article should serve as a wakeup call to our intelligence agencies and all stakeholders that deal with the rule of law, humanitarian and development response!